Tara L - Pixie & Pirate Destinations *|* Wishes become memories. One dream at a time. Tara L. is here to help you plan your magical vacation! Like the Carousel of Progress, my magical journey began many years ago when I was five. My family and I spent our first magical moments spinning on teacups, learning to drive on the Speedway and exploring Cinderella’s castle. Five years later, I would return again to challenge the darkness of Space Mountain, endure the Haunted House and ride the cable cars high above the magical landscape. There have been many vacations to Disney since then and today I share the same magical memories with my own children. As the Carousel of Progress continues sharing Disney’s dream with others, I would like to offer you the same; the dream of magical memories for you and your family. Today, we are quite a few years from bringing peanut butter and jelly sandwiches for lunch; Disney now offers a complete dining plan with character experiences. Special offers such as Bibbidi Bobbidi Boutique transform any girl into an enchanted princess to bass fishing trips for even the oldest kids at heart. Disney isn’t just a magical kingdom, but also a journey around the world, from past to present in Epcot, experience the action of Hollywood Studios and trek across the desert savannah in the Animal Kingdom. Planning a Disney experience can be overwhelming. Let me share decades of experience, tips and tricks for making the most of your vacation so that you won’t miss any magical moments transforming your dreams into your own family’s Carousel of Progress. 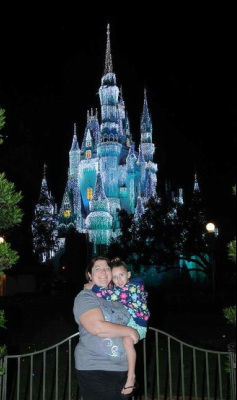 Request your Disney vacation quote - be sure to choose Tara L as your preferred Disney Vacation Pixie!